Fun and easy to create. Completely done in the hoop. 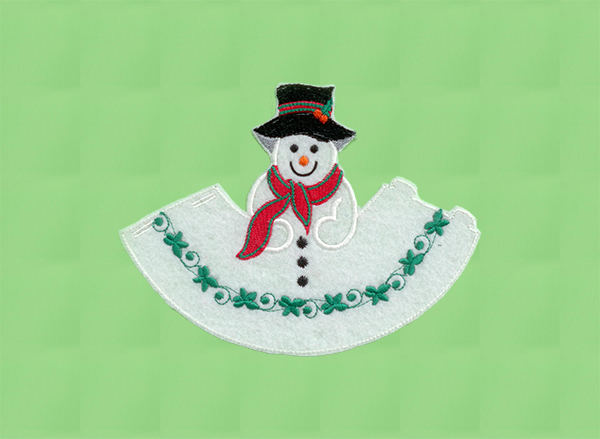 3D Snowman Ornament - 3 Sizes! White Christmas Set - 13 Designs! Finish Size 5.73" x 7.88"
This design is also available in a larger set. 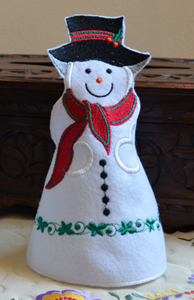 Just click on the "3D Snowman Ornament - 3 Sizes!" link in the "You might also like" section for more information.